DoseMapper™ is a unique high performance thermoluminescent detector (TLD) array consisting of 100+ small (lmm) micro silica glass beads packed on a thread for use in a standard catheter and inserted into a natural orifice next to the tumour. 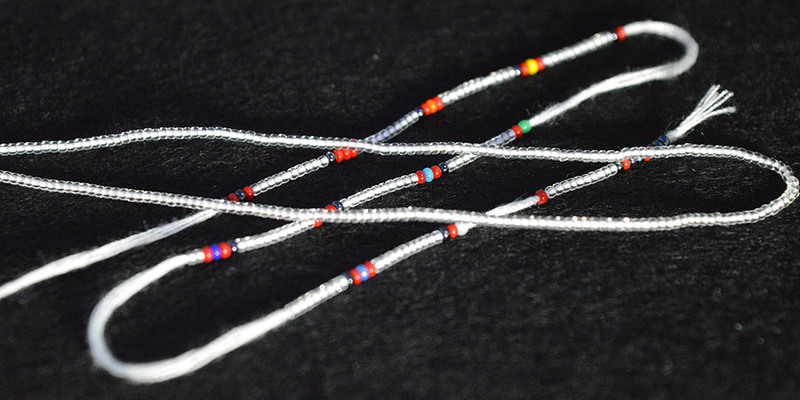 The inserted beads absorb the received radiation as stored energy over 100 points across and around the tumour. This is applicable to 70% of cancer occurrences. After the radiotherapy session (usually the first fraction), the dose levels and spread will be measured by our fully automated high-performance TLD reader. The results will be ready, typically, after 15 minutes and sent to a local computer connected by USB. The measurements are a unique “radiation ruler” or profile of the actual radiation doses received along or across the tumour area and beyond at a resolution of +/- lmm. The clinician can see the beads, their sequence and positioning on the patient imaging system and can compare the measurements provided with those expected with the patient treatment plan. The clinician can decide if adjustments need to be made for the next session. Radiotherapy clinicians carefully calculate and pre-test radiation treatment for each cancer patient. For external beam therapy the calculated radiation beams are directed at the tumour from the best and safest angles. Great care is taken to minimise hitting the surrounding healthy tissue and especially the patient’s critical organs. But, despite all the care, between 10% and 25% of radiotherapy patients worldwide suffer serious side effects or treatment failure. One problem is how to directly measure the actual radiation dose delivered into the patient’s body during radiotherapy. And that includes in brachytherapy when radiation sources are inserted into the patient. Today no one can see what the radiation hits or if it hits solely according to the clinician’s plan. No one knows the effects until the patient reports problems some weeks later. 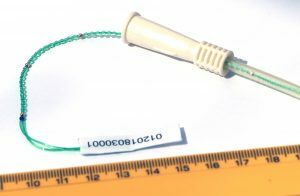 TRUEinvivo bead array detectors are easily inserted via a catheter into a suitable natural orifice and measure the dose and spread of the radiation received at the site of the tumour. A clinician can use this “radiation ruler” to check for accuracy against the plan immediately after the first patient session and, if necessary, adjust for the next dose. This test and correction for accuracy gives the clinicians real confidence that the correct dose has been given and in the correct places. More confidence can lead to less sessions. The patient and clinicians still wait a few weeks to see if the cancer is cured but the wait is with the confident knowledge that the treatment was really accurate and that side effects and harm have been minimised. TRUEinvivo DoseMapper™ micro silica bead array TLDs are suitable for medical physics applications that use X, γ, β, proton and neutron radiations. This includes external beam radiotherapy and brachytherapy treatments. For more details of the actual TLD material see the Researcher pages. TRUEinvivo can power radiotherapy improvement worldwide!